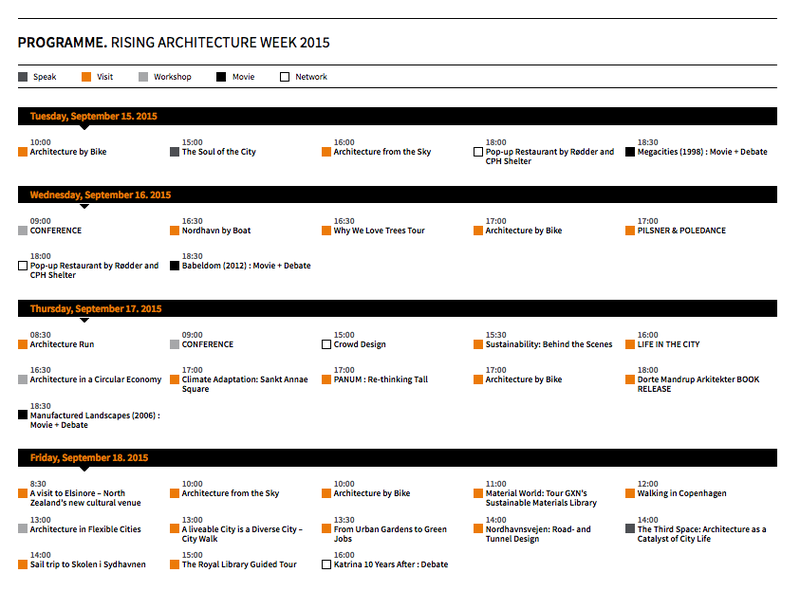 RISING is an international architecture event every year in in the Nordic countries. In 2015 the host city is Copenhagen. The topic of this years event is the growing city and its implications and challenges. Followed up by a conference, there is also the chance for more spontaneous urbanists for visiting city discovery tours (f.ex. Why we love trees Tour) or movie nights (f.ex. Manufactured Landscapes) and debates (f.ex. Katrina 10 years after). There is a huge list of partners like BIG, SLA 1:1 Landskab, Henning Larsen Architects, Polylform (whole list) and many more.